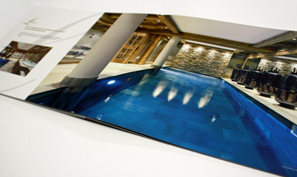 The Layflat Company are specialists in the production of layflat books. 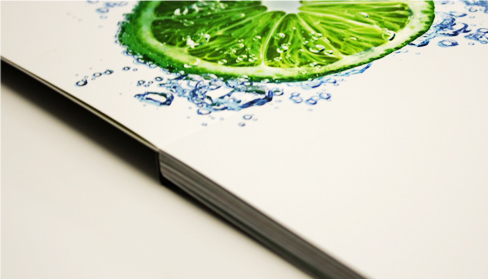 Lay Flat binding is a revolutionary technique which allows print to flow seamlessly across a double page spread. Books and brochures lay completely flat once opened, meaning that text and images flow across pages without being interrupted by the joint of printed sections. 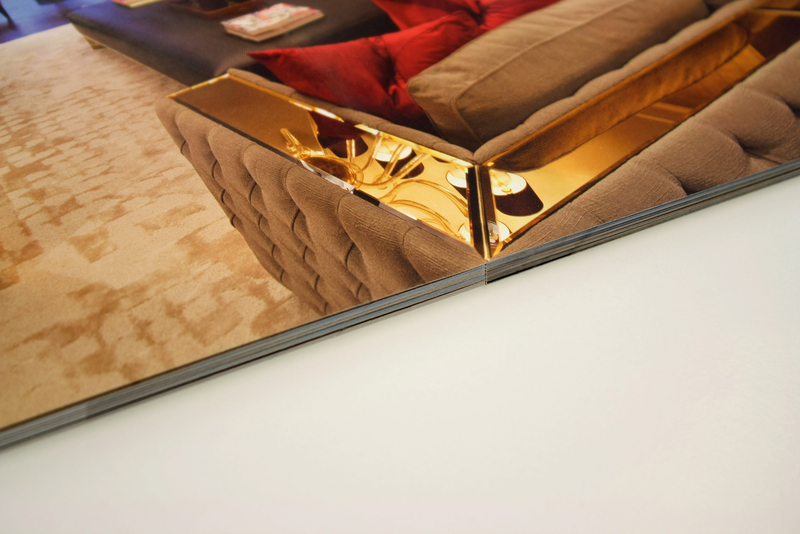 This binding method is perfect for displaying images at their full potential. 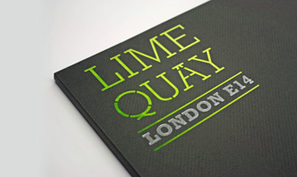 The Layflat Company works in partnership with R.S.Bookbinders, who have years of experience working alongside the print trade, as well as working closely with designers, property developers and architects producing presentation and marketing materials to the highest standards. With their wealth of knowledge and experience, The Layflat Company has become one of the leading authorities in the creation of layflat books. Sheets that have been printed on one side are folded and collated into their book form, which are mounted back to back to form a book block. This can be finished in a variety of different ways, including case bound or paperback formats. Don't get lost in the fold. 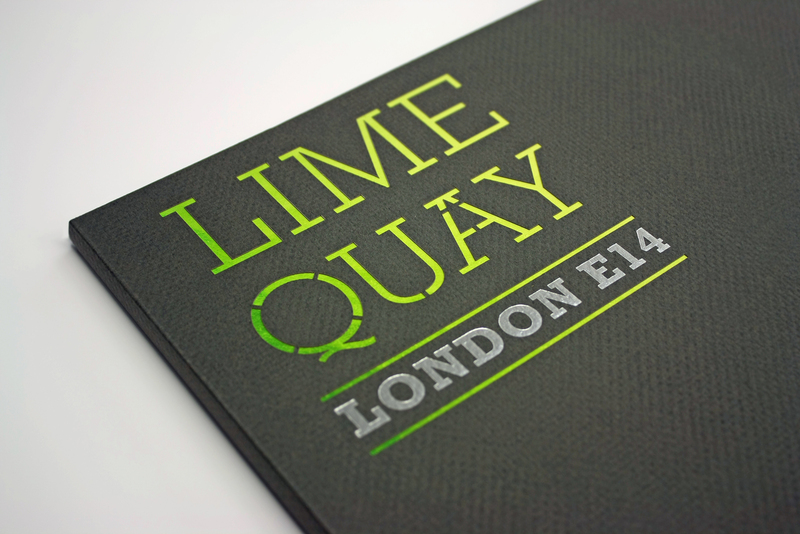 Lime Wharf is a large development of luxury apartments close to London's Canary Wharf. With it's stunning panoramic views across the city, layflat binding was the perfect medium to showcase the outstanding qualities of these properties. Situated on Bellocote Piste in the midst of Le Trois Valleys, Le Petit Chateau is a designer ski chalet offering the ultimate luxury in one of the world's most iconic locations. 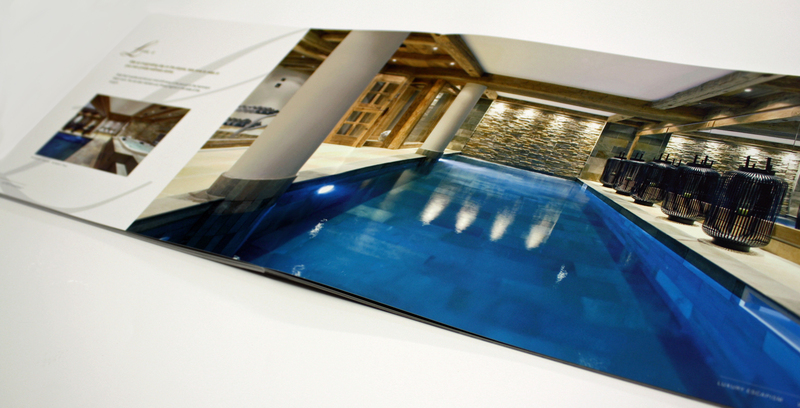 With the use of layflat binding methods in the marketing brochure for this stylish property, we were able to convey the opulence of the chalet's setting with maximum impact. 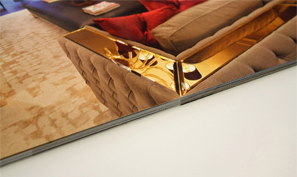 To full appreciate the impact of Layflat binding, view our on line brochure or contact us if you would like to receive a copy by post. Call 01702 204421 to find out more. Required fields are missing.Please try again. Thank you for contacting. we will be contacted you shortly. © 2016 The Layflat Company. All rights reserved.